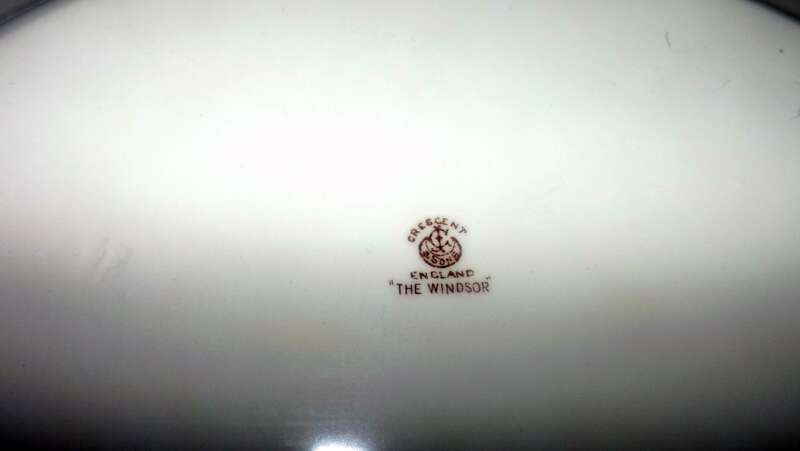 Almost antique (1920s) George Jones | Crescent Pottery The Windsor hand-painted oval vegetable serving platter. Purple florals. Almost antique (1920s) and very hard to find George Jones & Sons | Crescent Pottery The Windsor pattern hand-painted, oval vegetable serving platter. 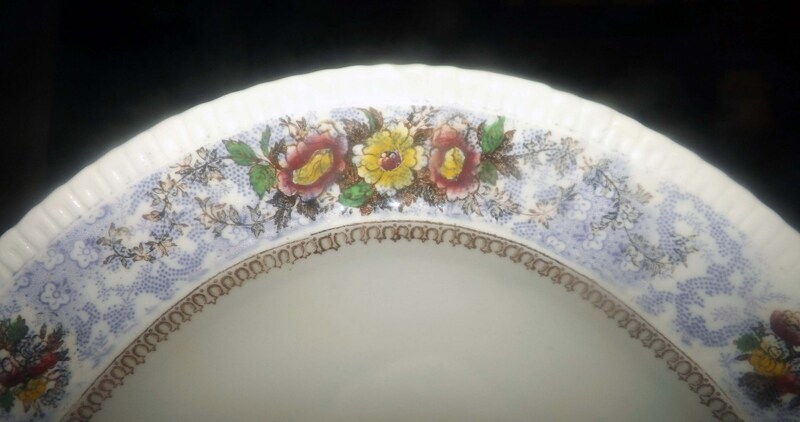 Purple floral chintz with inset multicolor florals on a white ground with an embossed shell edge and a shell-pattern band about the center. In EXCELLENT! condition with NO! chips, nicks, cracks or fleabites and NO! marks, stains, scratches or other signs of extended use or wear. There is MILD! 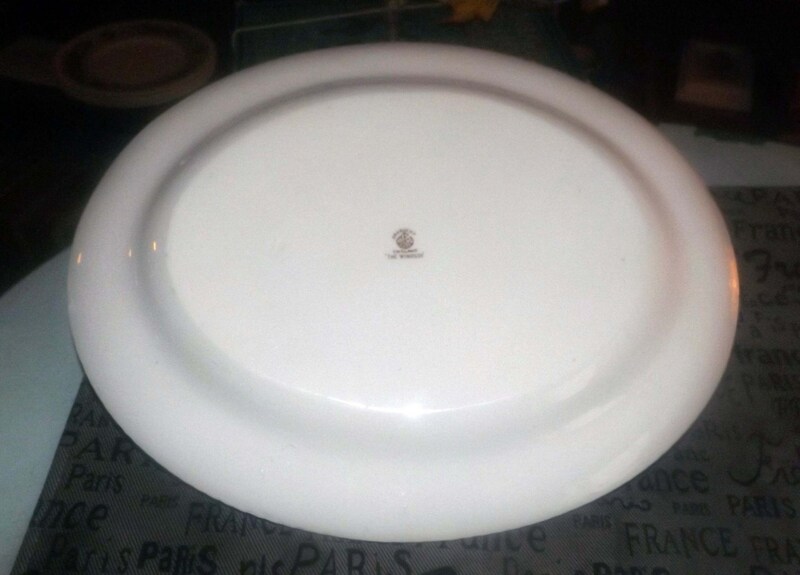 (considering the age of the platter) crazing apparent (please review each of the posted photos for a complete visual of the item). The piece appears to have been little used. Beautiful! 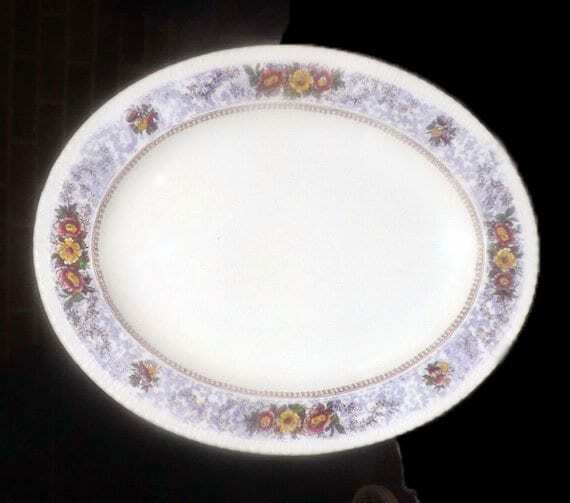 Approximate measurements: 13-1/2" x 10-3/4" in diameter (measured edge to edge) with a shell-embossed rim.